Filed to: does that star-spangled banner yet wave?Filed to: does that star-spangled banner yet wave? 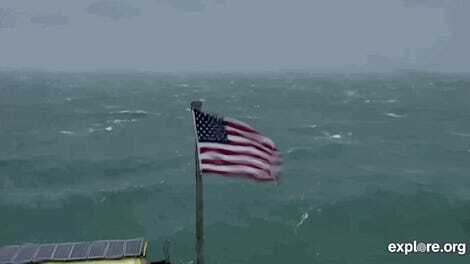 Last month, millions of people watched the American flag that flew at the Frying Pan Tower lighthouse about 39 miles off the North Carolina coast, as a livestream showed the flag being pummeled by the 100-mph winds of Hurricane Florence. Now, that symbol of dreams and natural nightmares will live on for a good cause. Charlotte resident Richard Neal purchased the decommissioned lighthouse in 2010 for $85,000 and converted it into a bed and breakfast. But millions of Americans found out about the tower last month via a livestream from a mounted camera on the premises, maintained by Explore.org with the help of solar power and a microwave signal, according to Charlotte’s NBC affiliate WRAL. 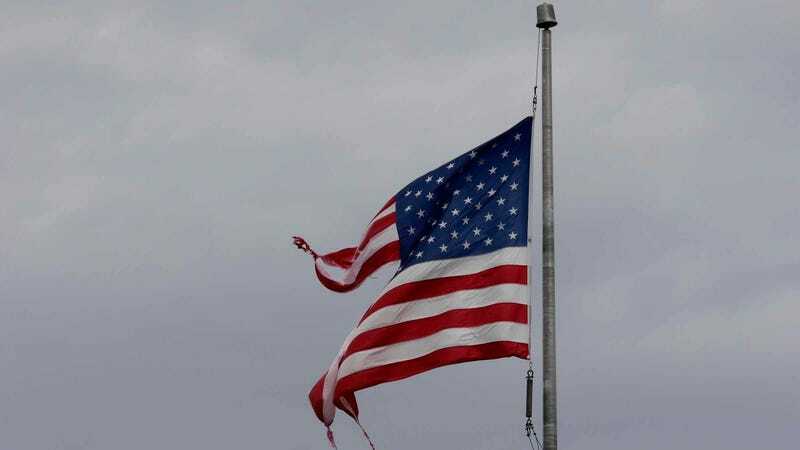 During last month’s tempest, the camera mostly focused on Old Glory as North Carolina and South Carolina residents joined bored office-dwellers far from Florence’s danger in watching the flag as it was shredded into a frayed mop of salty patriotism. Neal suggested to WRAL that he saw the flag as a symbol for the storm that the nation is enduring right now. “Knowing that that is kind of what we’re going through as a country really brought me together with so many people saying, ‘We will rebuild, we replace that, we will continue on as America,” he said. Someone became the proud owner of that symbol on September 30 after making the top bid on eBay. According to the Charlotte Observer, the name of the bidder was not immediately released. The eBay listing shows that 25 people bid on the flag, which ultimately sold for $10,900. The Associated Press reports that the proceeds will go to the American Red Cross.